Forget about slow muscle growth! Explode muscle growth via alternative style of Eccentric Training, stimulating protein synthesis to the max while combining both traditional weights and calisthenics training. Bodybuilding will never look the same. Building muscle mass or just toning (firming) – you are in control. Develop high level mobility that goes beyond “foam rolling” and “stretching for 15 seconds”. Using techniques to stimulate stem-cells and facilitate movement of the cerebral spinal fluid (CSF), This goes far beyond your typical “stretching” routine with results to match. Learn to move better and develop a classic physique at the same time. Movement development is a fascinating field that works on developing new positions (high level mobility) and building strength and stability as you learn to flow from one position to the next. Learn how to use your body like never before, while developing resiliency, posture and next-level body strength. Most people think of calisthenics as the type of boring drills you do at the army: basic pull-up, push-ups, climbing on a rope and crawling under a fence. This is not exactly right. The word calisthenics comes from the Greek word of Kallos (all the variations starting with Kali / Cali means “beautiful” or “good” such as “calimera” “caligraphy” etc…) and sthenos (Strength). It’s a tradition that talks about developing beautiful movement that demonstrate a strong physique. You can train with calisthenics at home, in a gym or outside in nature – it’s truly limitless as your body is the only real equipment you need. Calisthenics exercise, or the development and movement and positional strength, is the perfect frame work to build motor control, extend mobility and ultimately develop strength in positions that extend your range of motion gradually. Much of this practice has less to do with “reps” of exercises at a low level and more with isometric holding. By developing high level strength at various positions (some more difficult than others), you allow yourself to develop almost a resting position which to normal people would be a huge effort to get to. Then the real practice becomes transitioning from one high level position to the next, with those final positions being so strong that they are almost restful. This is the reason why when you work to develop high level positions, you can talk to someone while you do a QDR or a human flag. It doesn’t tax your body and while it does require strength, you become comfortable under the high level of motor control your earn. Can you build muscle with calisthenics? Absolutely. You can gain muscles with any type of workout as long as you understand what stresses the muscle to grow – but training with your muscles in synergy, will produce a very well proportioned physique, we call it the calisthenics body. If you combine the right type of stressor, with the right type of nutrition, you will get bigger muscles every single time. Same as if you combine different set of physical stimuli you can produce fat loss or increase in tone. Doing calisthenics alone, doesn’t mean you are going to get everything, it’s all in the specifics. Considering calisthenics already put in a great framework for eccentric and isometric work, we can integrate it into our framework of mechanical stress and metabolic stress and use it to our advantage. We can develop beautiful strength and at the same time, improve our mobility, muscle building or weight loss skills. It takes knowledge, but learning how your body works pays off big dividends. A typical calisthenics workout plan for mass you can do anywhere to build muscle, will typically factor the mechanical stress. We would slow down the movements, increase the lever and achieve both time under tension and progressive over load. We would then still have to introduce metabolic stress to grow the muscles’ volume, but that would be a separated part of the same calisthenics body workout plan you will be doing. Choose from “ready constructed workouts” or make your own with our extensive library. A combination of calisthenics exercises, weights and everything in between, divided into muscle groups, mechanical stress, metabolic stress and toning. All designed to help your build your muscles. Taking advantage of the full potential of eccentrics to maximize on mechanical stress (almost impossible with traditional lifting). Well round bodybuilding workous with options to build, increase firmness & strength or both. Optional integration for fat loss. Develop mobility, better posture and strength in movement (calisthenics style). Fun, effective and adaptable for consistent improvement in the long term. TRADITIONAL LIFTING CAN ONLY GET YOU UP TO A MAXIMAL 100%. Even though research into this matter is on going at all times, we all know that there are better and worse ways to build muscle mass. The exercises most people do, consist mainly of two phases. The concentric phase (which we like to call the way up – often seen in traditional bodybuilding exercises), and the eccentric phase (which we like to call the way down). Now this is true to whether you use body weight calisthenic exercises like a pull-up, as well as weight lifting exercises like deadlifts, biceps curls and virtually any other fitness exercise you see in the gym. What goes up must come down. Both the way up and down are done with the exact same weight. So if you weigh 150 pounds: when you do a pull up, 150 pounds goes up, and then 150 pounds goes down. If you’re deadlifting 100 kilos: that’s a 100 kilos bar going up, and a 100 kilos bar going down. And how strong are you? Can you lift 60 LBS, 90 LBS or 200 LBS? Whichever is the right answer – we can all agree that the maximal amount of weight you can lift up is your 100%. And that is exactly the problem. See, while you can lift a maximum 100% on the way up, you can actually control up to 175% on the way down. Yup, you are up to 1.75 times stronger on the eccentric phase. You might already know that, and if you don’t, you should probably google that. 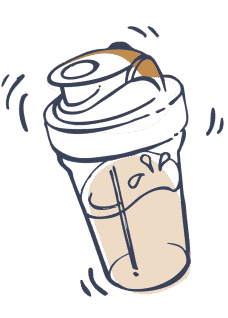 But – should you care? When training for both strength and for muscle gain the eccentric phase matters far more than the concentric phase. This is where we get high threshold muscle fiber recruitment, micro-trauma to the muscle fibers, this is where we do “time under tension” and where we go “slow and controlled on the way down”. In fact, it is the eccentrics that provides the mechanical stimulus, via the mTOR pathway to synthesize new protein and essentially build more muscle. It’s the eccentrics that strengthen your ligaments and add collegen into fibers. It’s the eccentrics that allows motor control acquisition and the expansion of your mobility. 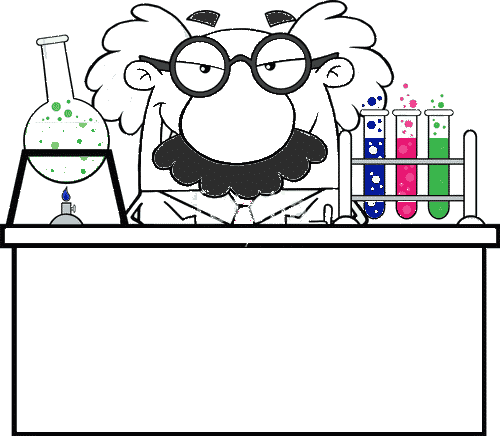 So.. yeah – the eccentrics matter a lot! There are of course other factors like protein rich nutrition or stressing the muscle metabolically with lactic acid and pumping, it’s all relevant. 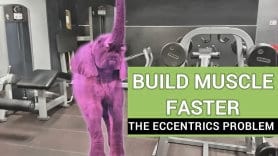 However, most experts agree that the quality of eccentrics we achieve in training factors for most of the results, so if you want to get big results, you need to get big on eccentrics. The way most of us workout, is by choosing loads around 60% and do 3 sets of 8, 5 sets of 5 or something along those lines. Essentialy, trying to balance the volume of work with how much fiber recruitment and muscle damage we can get. We almost never use 100% because that will burn us out too quickly and we won’t be able to do many sets and reps.
60% concentric means 34% of your actual eccentric capacity. This is something you might not find in the typical bodybuilding forum at your local gym but when they say give 110% – not only it’s impossible in traditional setups, it may not even be the most efficient way – considering you have 140%-175% to give. This doesn’t mean you’re lazy or you don’t train hard, it just points to the simple fact that 34% is inefficient for what you are trying to do. Arguably, it would be much better if you could figure how train at 60% on the way up and something along 110%-140% on the way down. That way you’ll get much better at stimulating protein synthesis which will help you build muscle faster. You will need what is the maximal load for a certain lift, go for around 60% on the way up (concentric) and around 110-140% on the way down – repeating it for around 10-15 times for small muscles and 20-25 times for larger muscles over a few sets. Grab a training partner / personal trainer and introduce them to the concept. Their job would be to take 40% off the maximal load on the way up (leaving you to do 60% on your own), and adding about 50%-80% to the top of the lift (leaving you to control 110%-140% on the way down). Make sure you do it safely, you can’t push more than your 100% on the way up and you need to be able to release those weights safely if it gets a bit too much because you won’t be able to push them, only lower them (which is what you’re after). Your training partner needs to be strong enough to support the weights, they need to be focused and this will require a measure of patience. Anyone can do it if they’ve got the right setups and the right partner for it. Can be done correctly nearly on each and every exercise. You can’ do it on your own, you must train with someone for that. Not only training with weights traditionally doesn’t expand your skill and movement, it often restricts you and makes you very stiff by allowing you “easy levers” to develop the mid-range. This type of training tends to restrict the end range of motion. Some setups allows you to use both sides of the body (bilateral) on the way up, and switch to one side of the body (unilateral) on the way down. Since you are putting far more load on the respective side on the way down, you get the full benefits of proper eccentric training. Let’s say you can only do 10kg biceps curl with your left arm. What you would do then is take 12-14kg (which you cannot lift as in this example your max is 10kg). On the way up, your right hand (which is free of any weight) will help to support the weight further on the way up. On the way down, for a good amount of time of about 6 seconds, you will have to do it just with the left arm, taking away any support from the right. This can work great in some setups (where you can do unilateral training via free weights or machines) as long as it’s an isolation exercise. As soon as you involve too much complexity, it starts involving the rest of the body. You can argue that complex exercises are better but unfortunately you can’t easily and consistently perform up to 140% on one side of your body if your entire system is involved in a complex movement. You can do this without any help from anyone else – which is awesome. We actually use it to a small extent in our program. There’s only a handful of exercises you can do like that properly. It’s a good way to do it but you won’t be able to do it for your entire body. Sometimes, a small change of position, angle or lever is all it takes to ramp up the intensity on the way down. We can “climb” the way up, and control the way down. For example, if you couldn’t do a pull up, you could climb on a box to get to the top, then do just the way down. If you could do a pull-up already, you could use the same mechanisms with added weight or use the previous unilateral concept on the way down. We can change the lever. The smaller the lever (when your arms and legs are close to your body), the easier the load become. For example, if you hanged vertically from a bar and got your knees close to your chest. That’s a tough position but a very easy lever. That could be the way up. Then, by extending the knee (while fighting to keep the hip angle) you are extending the lever and increasing the intensity. That fight against gravity (and ultimate failure) is the way down. This is one of the bigger concepts behind calisthenics and gymnastics and by applying principles of mechanical stress followed by metabolic stress, we can use it to also build muscles at the same time at an increased pace. Sometimes, you could even use weight to come up in one direction (that’s easier – i.e. the 60%) and come down from a different angle which is harder (i.e. the 110%-140%). For example, you could front-raise a weight on the way up, and go back via a path of a unilateral raise (which is harder), resisting the heavy weight on the way down. This is the really good approach (used a lot in the official program). It’s creative, it’s challenging and it’s fun. Most of all – it works to create the best mechanical stress on the muscles safely and effectively – and this is the biggest factor in protein synthesis when building muscle. Not only this is an amazing technique to build muscle mass (if followed properly with metabolic stress), it’s also a skill-builder. It allows you to get motor control, learn movement and build strength in some of the most complex movement skills. It’s great for your connective tissues as well. The best news is that you can’t take it back, when you have developed a skill like this, you are probably going to keep it for a lifetime. Whatever muscle and skill you earn this way, you get to keep. Well, this require creativity and knowledge when planning – but this is hardly a bad point 🙂 Anyway, this is part of the reason the program took so long to plan, film and put online but now that it’s ready, you don’t have to come up with all the techniques yourself. You can just enjoy it and all the benefits it brings. This is primarily happening during the eccentric phase (covered above in details). Most experts agree that the slower the eccentrics are, the greater the time under tension will be. Intensity wise, most experts would agree that the optimal intensities fall between 100%-175% which demonstrate the need to increase the loads during the eccentric phase for maximal results. The mTOR pathway is one of the cornerstones of protein synthesis. The mechanical damage will translate into a number of biochemical reactions, at the end of which we get photostatic acid and mTOR activation. There are a number of factors that will determine how much mTOR signaling we get and how much new protein we can synthesize. Nutrition also plays a role with BCAA (and primarily the amino-acid Leucine) playing a big part. There are other tricks (some more proven and some less) that can effect this pathway one way or the other but the greatest and surest way to achieve more activation of the mTOR pathway is to optimize mechanical damage. With greater eccentrics comes greater mTOR activation. This is easier to achieve and while the mechanical stress if far more important, metabolic stress still plays a big role. When we engorge the muscle fibers with blood, we are creating internal stress. The body responds to the stress by allow the muscles to accommodate larger volume of fluid (blood is fluid after all). We call that process “Sarcoplasmic Hypertrophy” or the hypertrophy of Muscle Plasma. One way our body responds to this stress is by increasing the amount of fluid itself in the muscle as well as strengthening the membrane of the fibers to sustain the new loads. The new volume of the muscle is what accounts in large for “size gains”. This is why we always looked bigger, when we are “pumped”, because we push blood to fill in the muscles. One thing to be aware of is that “pumping” does create vascularity (when you can see someone’s veins). This is in part, how the body deals with the increased volume of fluids. It’s not a problem but may not be very desirable for some people so if you wish to avoid increases in vascularity, focus more on the mechanical aspects of loading and less on the pump. This is an area where science is not too sure about the mechanism but there are enough evidence to show that the lactic burn (i.e. “feel the burn”) does eventually results in small contributions to muscle mass. The same is true for other metabolites such as Carbon Dioxide. This is not a proven correlation and could be due to the fact that lactic acids often build up along-side the pump, as we exhaust the oxygen in the muscle. It would be hard to say if the pump alone is enough to contribute to muscle growth or whether lactic acid is a needed factor. The only thing we can say for sure is that the build up of lactic acid will result in fatigue. If you can work longer before feeling the burn, you would be able to enjoy the mechanical stress for longer. If your endurance however is impacted to a great degree by the presence of lactic acid in your muscle, you might have to cut your workout short. We think, “better safe than sorry”. Better introduce lactic burn into the process but only towards the end to avoid premature fatigue and early termination of the workout. There are of course, non-training related factors that will influence your results. It’s quite simple. Protein breaks down into amino acids which can then be utilized by the body to synthesize new protein in the muscles. Your body still needs the reason to synthesize that protein in the first place (i.e. mechanical stress and muscle breakdown). It’s hard to say exactly how much protein your diet should include as there are many different factors. From genetics to your gut health (and how much of it you can actually absorb). Telling you exactly how much protein you should take is impossible as it’s an inaccurate science with many factors to consider, very much like the faulty science of counting calories. What we can say for sure is that high amount of protein does in fact correlate greatly with stimulating further protein synthesis. If you want to get an idea of how much protein you should aim for, you could look here (set your parameters and you’ll see an orange square floating at the bottom of the screen with how much protein you should aim for). While we do know high protein intake helps, be aware that you could build muscle with medium intake of protein, with high fat, low fat, high carbs or low carbs. There’s just a great deal of variety in there. A good thing to aim for is a healthy balanced diet, with medium to low carbs, high protein in medium levels of fatty acids from different sources. Low carb, keto, paleo… there’s no one strict answer that would be good for everyone. This is also true on low calories vs high calories, you could build muscle on both if you make sure there’s high enough protein and balanced level of nutrients as long as correct exercise stimulus is there to facilitate protein synthesis. One of the reason we stress gut-health protocols in all of our programs is that it’s still key to everything that happens in our body. If your gut is playing friendly, you will absorb protein better, enjoy higher levels of crucial hormones (such as testosterone and growth hormone) and you will be free to do the task at hand. If you gut health is poor, you will suffer immunity responses to training, increased inflammation, less of the beneficial hormones, less sleep, more cortisol and less absorption of the protein you take in. Improving your gut health is key to do everything better, and you can start doing it today by reading our guide probiotics guide here. When we say deep sleep, we don’t just mean “tuck yourself in bed for 6 hours”. We mean actually getting enough uninterrupted sleep in the deep state of brain activity called “delta waves”. You could get semi-reliable sleep tracking information from most fitness trackers out there (fit bit etc…) and we would encourage you to look into it. There’s a lot of muscle building happening when we sleep and if you don’t take the time to get a proper recovery, you will not be able to build muscle. It’s great that you’re demanding new muscle from your body (via training and nutrition) but you also have to allow your body to do what you ask of it. Your perception of how hard you train is directly influenced by how well you sleep. Your definition of “hard training” will be different if you recovery well and you would be able to squeeze more juice out of your workouts. Generally, most people think that soreness correlates to muscle damage, even though many times you can do good work (that kind that drive results) and not be sore. If you haven’t trained a certain body part for a long time, you could get some insane DOMS without actually doing good work. Our take from this is that while muscle soreness can indicate heavy work to a certain extent, it shouldn’t be relied on to indicate progress or quality of work. In-fact, most people find that the presence of DOMS prevents them from training hard so there is a point in taking measure to reduce soreness after workout. Protein, Glutamine, BCAA and HMB supplements all help. Other supplements like cherry extracts, fish-oils and numerous others have some evidence behind them for reducing muscle soreness. This basically falls under the category good nutrition (with a few tweaks here or there) and you can experiment with that. Far Infra-Red. This has been a relatively good experience and something that will be new to most people. You can get special clothing that reflects far-infrared (FIR) into the body, you can get bed sheets that do the same or even special far-infrared heating panels. This has been around for a long time and the idea is that it promotes blood circulation (as well as numerous other health benefits). In turn, that seems to really help with soreness and stiffness, just by wearing this type of garments. They are often expensive but well worth it. As surprising as it may be, smashing objects into your muscles when they are over-engaged is not only painful, it’s very ineffective. You are not changing anything in the muscles or the fascia by foam rolling them. What is however happening is the tricking of the nervous system to release neural tone. Only problem is, there are better – far more efficient ways to do it. A better way to achieve a temporary reduction in “stiffness” is to contact the muscles into the object for a few seconds, and roll around as you relax. Going from sympathetic to para-sympathetic in the process. Muscles don’t have brains and the “stiffness” you describe is controlled by your nervous system sending an increased impulse to a certain muscle to contract and not let go. This is explained in far more details in some of the skills. If we are going to “cheat” our nervous system into releasing some of that impulse, we might as well do it efficiently. Simply smashing (rolling) an object into the tissue will eventually trick the nervous system to release tension but that’s a poor way to do it, it’s inefficient, time-consuming and won’t change anything in the tissue for the long-term. This is a huge subject on its own and I recommend you look google “Spina Foam Rolling” if you want to learn accurate information about it. You can’t break “scar tissue” (fibrosis) by rolling on a surface and smashing the tissue with force. This is an old way of thinking which has been proven impossible a long time ago. You can however stimulate the fibroblasts to create new tissue by applying directional stimuli passively over a great length of time. This is all about regenerative processes and stem cells, directing the body how we want it to build tissues instead of letting it “patch” things over with scar tissue. We actively use this information in our training but we’ll not explore it within this article as this is a huge and massive subject on it own. To enhance the look of muscle, you could focus your efforts in a few different ways. While this would be inaccurate to say you can control this fully, it wouldn’t be incorrect to say you have a way to influence it. If you want more round (puffy) muscles, you could simply focus more on metabolic stress (which will increase the volume of plasma). If you wanted more “dense” angular muscles, you could shift your focus more towards the mechanical stress to make for denser muscle fibers (more protein synthesis). At the end of the day, you will need both type of stresses (metabolic and mechanical) and it’s possible to maximize both if you have the time to workout like we recommend. You can’t separate them completely but you can focus on one or the other to a certain extent. While this doesn’t change the muscles themselves, the level of body fat you’re holding will obscure or reveal more muscles. This is fairly straight forward (check our the body visualizer here, set it to muscular and see how the 3D shape changes with the different levels of body fat). Of course, losing fat is essential to looking good, feeling good and being healthy. And isn’t that part of the reason you are building muscle? If you want to learn how to lose fat better, and especially stubborn fat (such as the one on your belly and love handles) then check out fat loss program, for an in-depth solution. Many people confuse tone (how firm the muscle is) with pump (temporary filling of the muscle with blood, which makes it hard to the touch). True tone is a function of strength. Even the word Tone implies the same as tone=tonus=tension. Eccentrics results in big strength gains and motor control gains. In this respect, eccentric training will help you increase your strength and your muscle tone greatly. Concentric however won’t do the same. Isometrics training is the best way to increase muscle tone. There are a few types of isometrics and all of them are non-moving contractions (iso=equal, metrics=in length). That means there’s no lengthening or shortening of the muscles. If you were pushing a wall, it wouldn’t move, but you can still work hard in “isometric”. The same is true if you tried to hold a tough position, say hanging from a bar – there wouldn’t be any movement but everything will be contracting hard. By holding a high level contraction, your body will ultimately increase the amount of fibers it recruits at rest (which is what we call neutral tone). If your muscles at their resting state, are always slightly contracted, that will result in them being “firm” and hard to the touch. No flabby bits. Isometrics that are done at lengthened position have greater effects on strength in both lengthen and shorten position but the greatest strength increase will be at the angle the isometric is performed (with minor increases in strength at around 15 degrees each way from the worked angle). Because this is a very effective way to build high level of strength at specific angles, this is the most widely used techniques when learning how to control your body in various body movements that looks impressive and hard to do (the word calisthenics means “beautiful strength”). This is why we can hold many “seemingly impossible” positions while looking relaxed, because we turn them into positions of strength via isometrics. The transitioning in and out becomes the workouts, those specific positions almost serve as a bit of a rest. 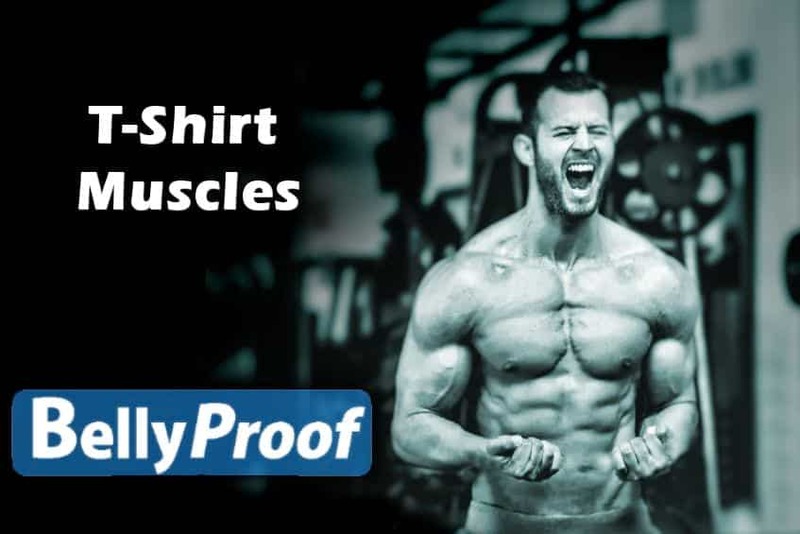 The fastest you have ever built muscle mass! High level mobility teaching, with calisthenics modalities – become a better mover! Rapid strength increases and muscle tone (firmness). Works both for skinny guys and muscle jocks, with options to do in a gym or to build muscle at home. If you already have access, you need to log-in with your username and password here. You will be able to access everything once logged-in.